Scale-like, surveillance drone missile removes threat of opposing side snooping on military installations. 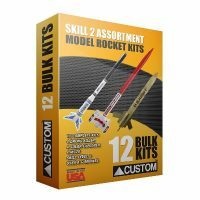 Makes a great display kit with unique plastic cone and reducer. 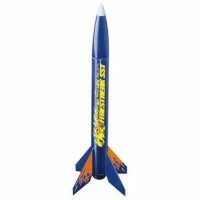 Features laser-cut balsa fins, and 12” parachute recovery, detailed decals and quick-release engine mount. Flies over 750 feet. Includes four kits. Deep space probe searching for habitatable planets. 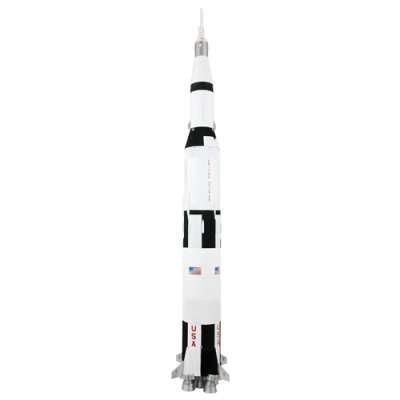 Features injection-molded plastic nose cone, laser-cut balsa fins, and 12” parachute recovery. Includes unique self-adhesive decals and quick-release engine mount. Flights to 700 feet. Includes four kits. 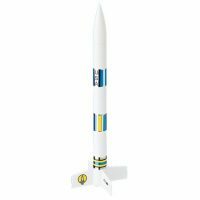 Scale-like missile makes a great display kit that looks just like the real thing. 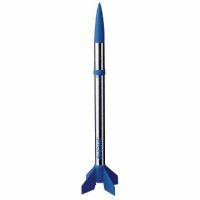 Features injection-molded plastic nose cone, laser-cut balsa fins, and streamer recovery. Pressure-sensitive decals, quick-release engine mount makes engine changeover fast. Flies over 800 feet. Includes four kits.